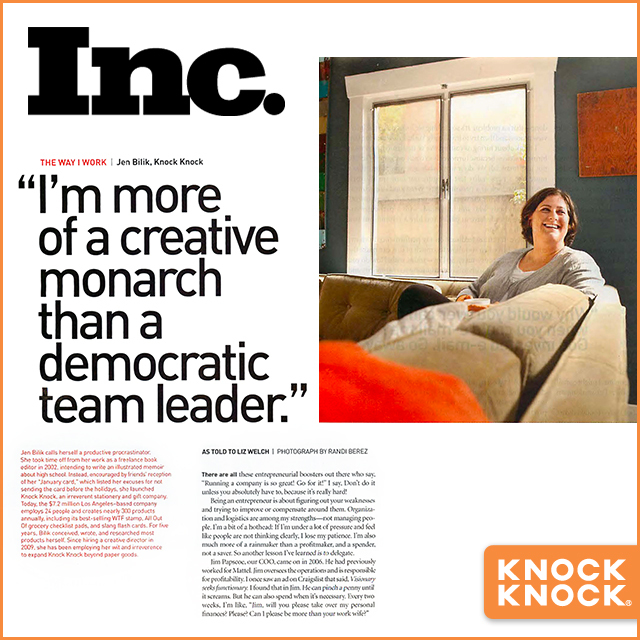 Inc. Magazine profiled Knock Knock founder Jen Bilik, a self-proclaimed “productive procrastinator and creative monarch.” Jen chronicles her daily routine as CEO and gives a glimpse into her creative process for developing ideas. 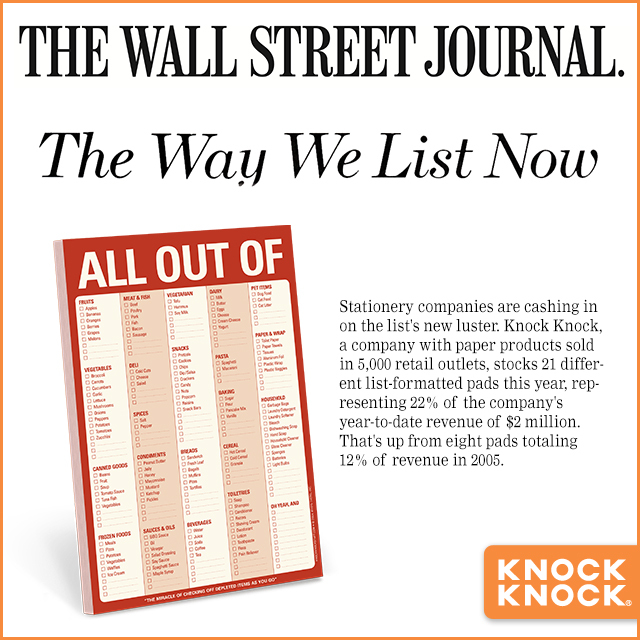 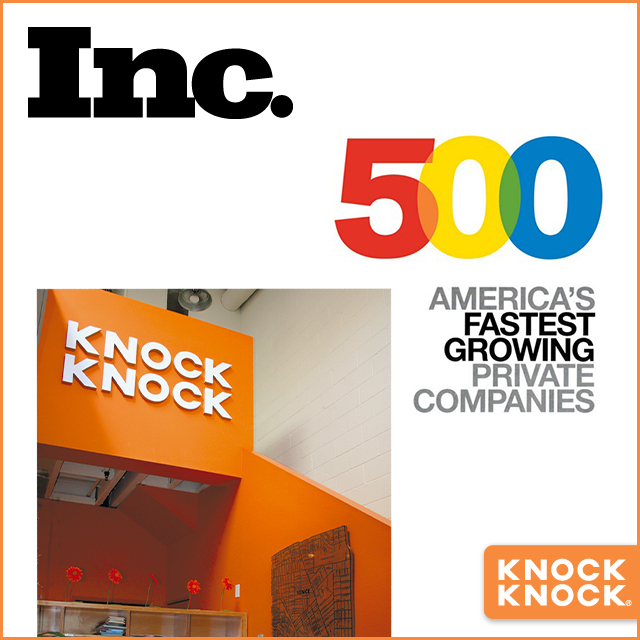 Breaking news: Newsweek features Knock Knock as a clever gifts-and-cards start-up. 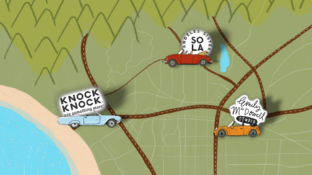 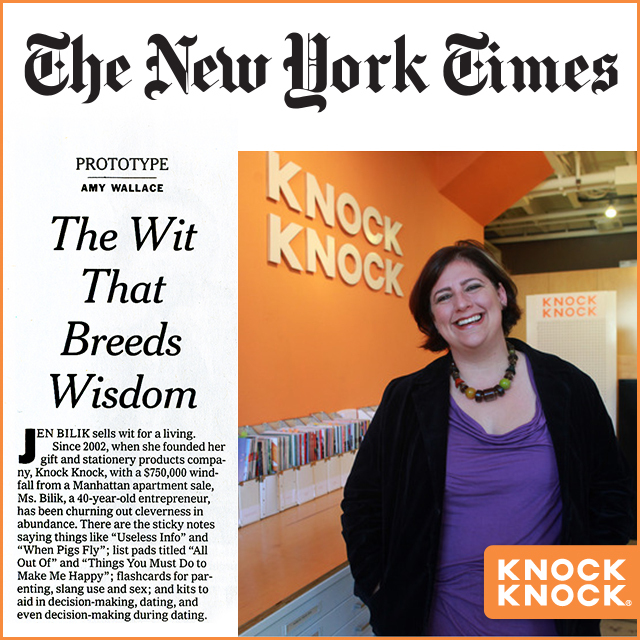 Founder and CEO, Jen Bilik, details how “the idea for Knock Knock grew out of her love of arts and crafts” and speaks on her entrepreneurial journey.